Thanks to the generosity of a local school in the UK we were able to provide many poor children with unexpected Christmas presents. 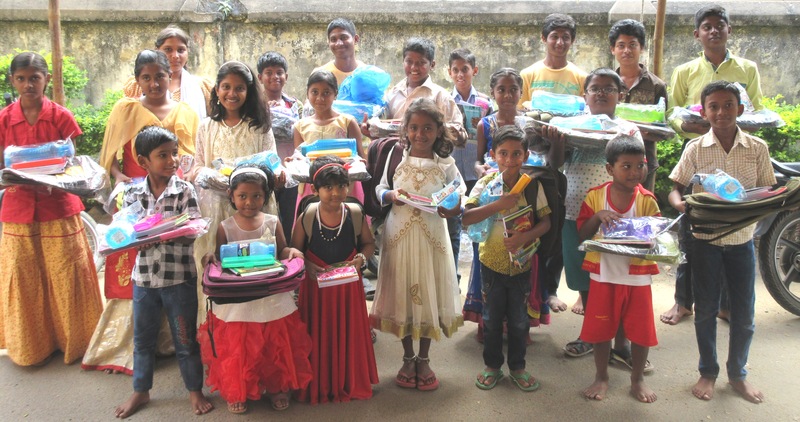 The children from a Hertfordshire primary school wanted to raise funds to treat less fortunate children in India to practical Christmas presents. Enough funds were raised to provide rucksacks filled with educational equipment for lots of children of all ages including those who live in our orphanage. This photo shows one such group who are showing their joy and gratitude with huge smiles. Needless to say we are very thankful to these UK children for making this possible and would encourage any other school or organization to help if they can in a similar way.